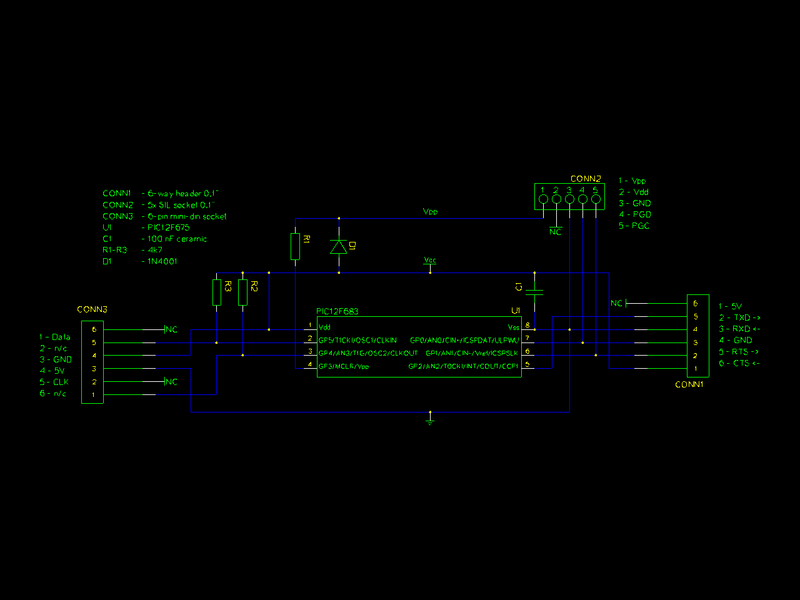 This project is a Microchip PIC microcontroller with an RS232 serial interface on one side and an PS/2 (keyboard or mouse) interface on the other. 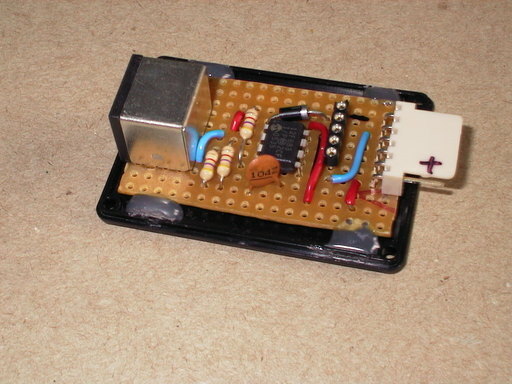 The PS/2 interface uses bit-banging on a 12F683 device. The PS/2 interface operates as a host and initialises the keyboard or mouse before going into a never-ending loop of reading the data and sending it to the RS232 interface. 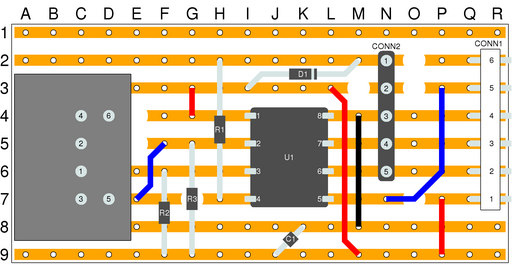 The PIC microcontroller is the only IC and mounted approximately in the centre of the PCB. The RS232 connector is on the right with the PS/2 connector on the left. The PIC software is written in assembler and this project was the development platform for the PS/2 library functions. The complete information for this project is available for download. This includes the library functions for the RS232 and PS/2 interfaces as well as the circuit diagram, layout diagram and various C programs. This project is included in the library of PIC code that is available for download. The circuit diagram is very simple with only the RS232 interface (a connector), PS/2 interface (a connector and 2 pull-up resistors), PIC (IC and decoupling capacitor) and ICSP (socket, 1 diode and 1 resistor).